Unable to obtain employment, they are driven by poverty into the streets to beg, and by this means they still supply the bottle. Plate IV of The Drunkard's Children pub. 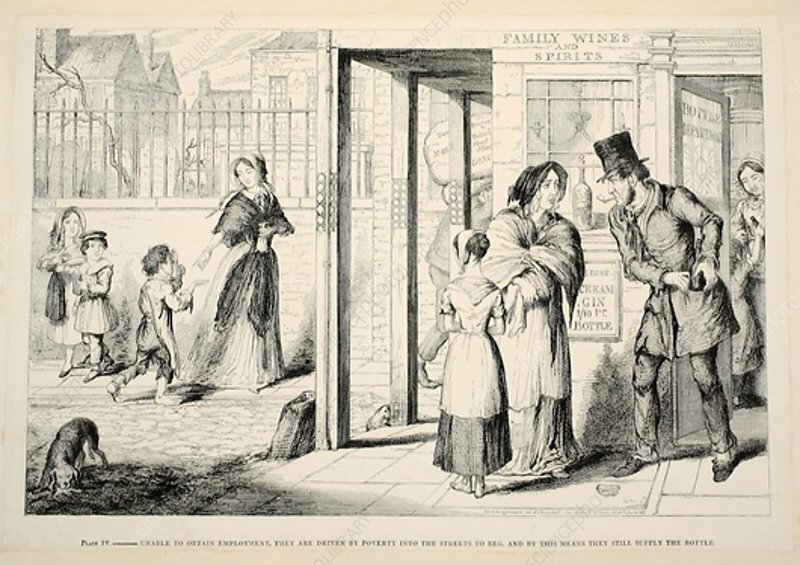 A man, woman and young girl stand beneath a sign for 'Family Wines and Spirits', poor looking children and a mother walk in the background.